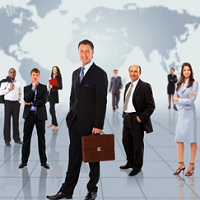 We function as a platform between candidates and companies for Overseas Placement. When the right opportunity lies outside the country then there should not be any barriers for availing the same. Believing in this, we provide Overseas Placement Services to candidates starting from keeping them updated on the best opportunities outside India to guiding them on the whole process of international placement. We provide Overseas Placement across industries and in various locations.